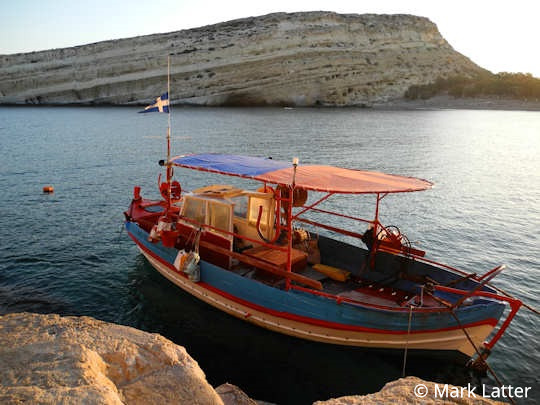 Hi, I am going to the turtle conservation camp in Matala and will be getting a bus to Mires as the last bus to Matala is before my plane lands. Can you tell me what time the last bus to Matala from Mires is? Also, how much would a taxi be if I cannot get a bus? The local bus company is called KTEL, see full timetables and info below. If you are coming into the Heraklion airport, you need to get to Bus Station A, near the port. This should cost you about €10 in a taxi from the airport. You can also get a local blue bus from the airport to the bus station, but because you are arriving late, you might want to get a taxi for this short ride of only 5 km. If you were coming at any other time, you could easily take a blue bus from the airport to town and to Bus Station A, they depart every 15 mins from just outside the airport and are marked 'IRAKLIO'. 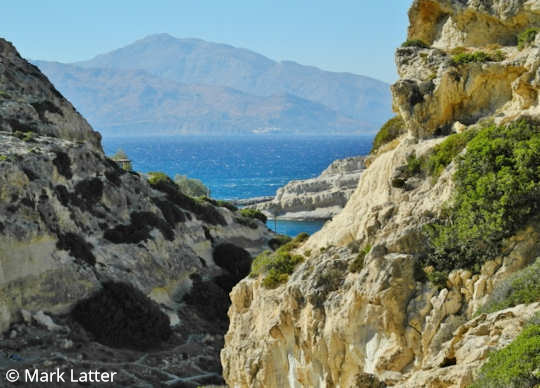 At the time of writing, the last bus from Heraklion to Matala leaves at 3.30pm - that goes all the way through - the journey takes about two hours and costs €8.50. 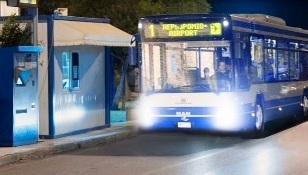 The last bus from Heraklion to Mires leaves at 9.15pm, the journey takes one hour and fifteen minutes at a cost of €7.40. At the time of writing, the last bus from Mires to Matala leaves at 4.40pm. 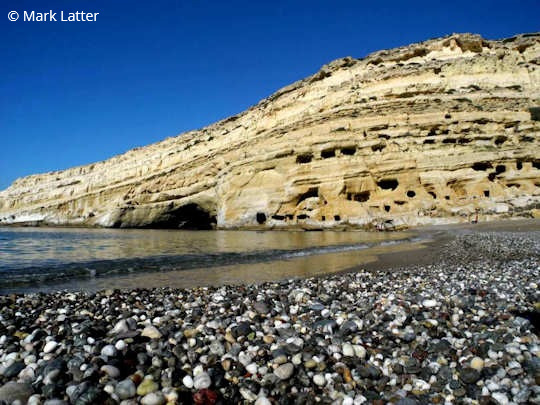 So, you would have to get a taxi further on to Matala, which is a journey of 15 km with a cost of approx. €15. If you do get stuck in Mires, you could take a local taxi or call Giorgos at Matala Taxi on 30 6973 277 040. Also you could pre-book a taxi from the airport, from the airport to Matala the taxi is approx. €78. 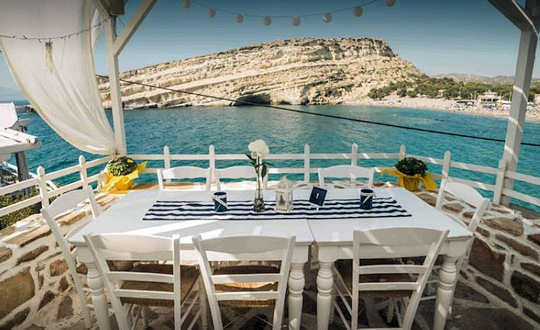 Get the Bus to Matala Beach Crete - you will arrive on a team helping with Sea Turtle conservation in one of the most dramatic and scenic parts of the island. 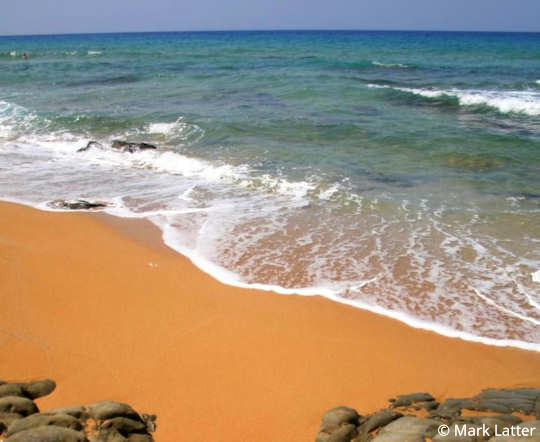 This is a crucial nesting area for Loggerhead Turtles Caretta caretta in the Mediterranean. 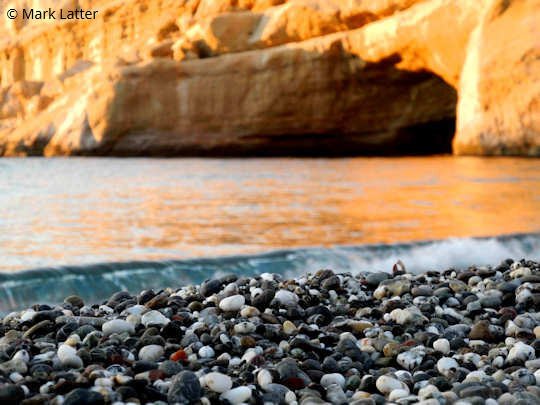 On average 300 nests per year are made on Crete. Nests are made by the female turtles that crawl laboriously up the sandy beaches to firstly dig out their nesting hole, then lay their eggs, then cover them up again. This labour of love can take her many hours and she is depleted of energy afterwards, putting her in a very vulnerable state. Baby turtles are also very vulnerable when they hatch, and in the first few minutes of their life they must find their way across the sand and into the sea. 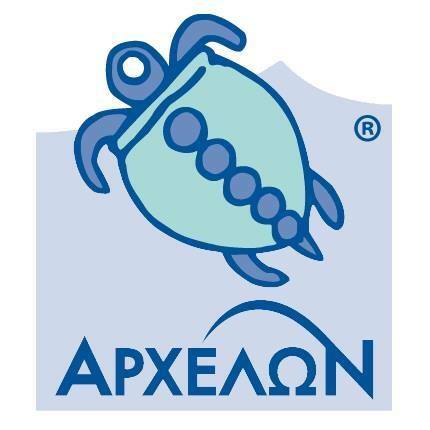 Sea turtle projects in Crete are coordinated every year by Archelon, the Greek Sea Turtle Protection Society. 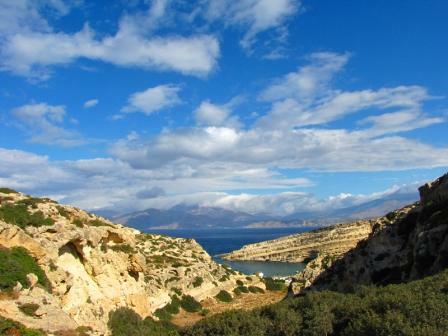 The base camp for the projects in the south of Crete, in the Bay of Messara, is at Matala Beach Camping. Volunteers need to look after all their own costs and pay for the program. There are various dates available between June and September every summer. This takes hard work and commitment, there is plenty to do in activities in public awareness, nest and turtle protection, and maintenance. Volunteers have the opportunity to learn all about the turtles and their conservation and then help to inform the public about this, at Information Kiosks, and hotel talks with slide shows. Volunteers also help construct beach fences and screens to stop the public walking on the nesting sites, and to help the baby turtles to orientate themselves to get from their nest to the sea. Lights can confuse the baby turtles and in some places, lights cannot be eliminated, so temporary fencing is constructed. 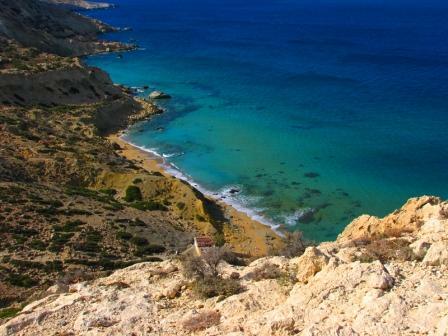 Get the Bus to Matala Beach Crete - enjoy the beach with clear waters and ancient caves, and beachside fish tavernas. Contact us with further questions or feedback. We love to hear about your travels in Kríti and Greece. Let us know of any updates or additions, errors or omissions. Help us make this website the best it can be. Kaló Taxidí!